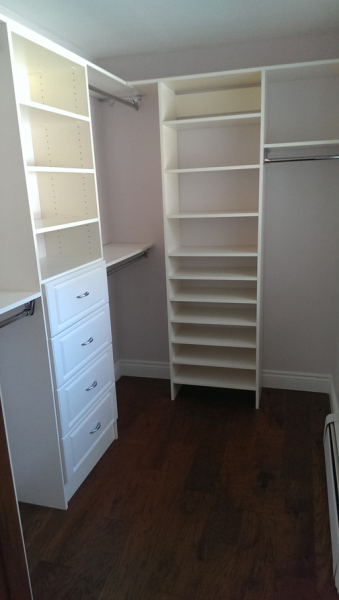 At Quinte Shelving and Glass we design and build a custom closet for you from scratch. Accessing your needs and utilizing your closet space we can create an area that is comfortable, easy to manage and helps you maintain a clutter free environment. We service an area from Cobourg to Kingston and are also available for special projects in the GTA. From new home builders & renovators to clients just looking for more organization we do it all.